Ad Colen (soprano sax, tenor sax); Gé Bijvoet (piano); Wiro Mahieu (double bass); Yonga Sun (drums). After releasing 4 albums, this top saxophonist definitely deserves a larger following. 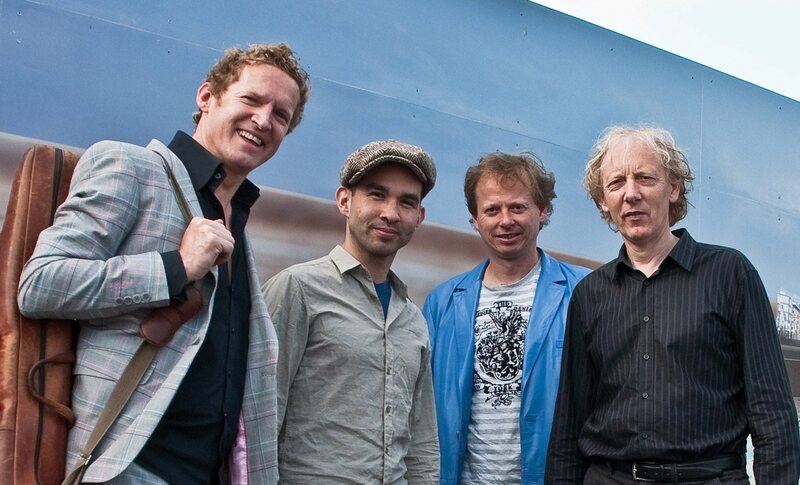 In 2008, Ad Colen formed a new band with pianist Gé Bijvoet, bassist Wiro Mahieu and drummer Yonga Sun. Their latest album, Free, has just been released to critical acclaim. The music on Free is cleverly structured and tasteful jazz that touches both heart and mind. The album is bursting with energy. Technically speaking, the music is cleverly constructed and it swings, too! Colen's quartet is very accessible without being mainstream. Bijvoet is a distinctive pianist who provides a fine counterbalance to the powerful sound of Colen's tenor sax. The constant, effervescent creativity of the quartet sometimes sounds groovy but Colen's resonance can also be dreamy. It is typical of Colen that after working with greats like Michiel Borstlap and Rob van Bavel, he is once again performing with such a strong lineup.